The story of award-winning, forward-looking British jazz group Empirical continues this autumn with the release of their 4th studio album. The music on the album documents Empirical’s work with the Benyounes Quartet, an up and coming critically acclaimed string quartet who have been working closely with the band since 2012 when they performed together in the London Jazz Festival. Featuring composition and improvisation in equal measures, the influences range from the classical tradition through to contemporary jazz and are tied together by Empirical’s ethos: gathering knowledge through experiment and observation. 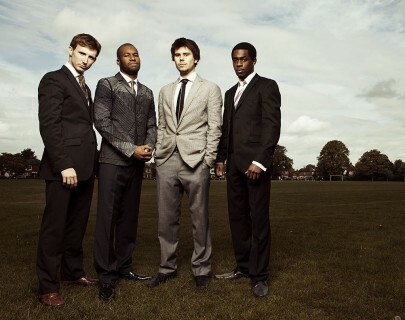 In just a few short years Empirical have carved out a place as one of jazz’s most exciting young bands, touring from New York to Molde, London to Montreal, and winning numerous awards including the 2010 MOBO for Best Jazz Act and Jazzwise and Mojo albums of the year. Their aim to expand on the traditions of Jazz has seen them create music both timeless and totally now, inside and out. The coolest of Britain’s young jazz bands.